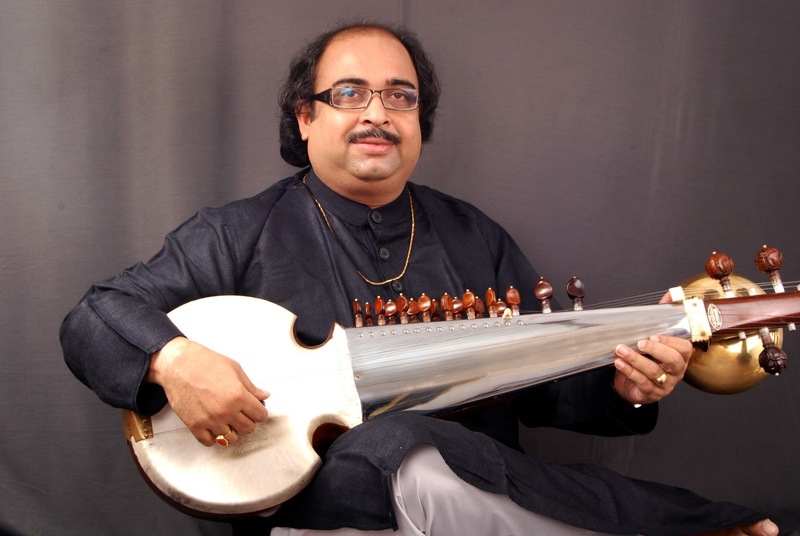 he studied under the Late Sri Ajay Sinha Roy and later under one of the legends of Indian Music--the world-renowned Ustad Ali Akbar Khan--from whom Tejendra is fortunate enough to receive his training today. One of the best equipped musicians to carry on the Senia Maihar mantle, Tejendra combines the intellectual density and technical virtuosity of his gharana with an extraordinary tone, touch and an ambient melody which transcends any qualification. Above all, he has in abundant measure that indescribable ability to take the listeners along with him--the rare quality that is the hallmark of genius. He is also a Top Grade artist of AIR and Doordarshan.Pandit Tejendra Narayan Majumdar's brilliance and popularity as a classical artiste has not dimmed his interest in composing, arranging and experimenting in other areas of music. From composing the background score of meaningful films to musical ballets, Tejendra is always ready to take on any musical challenge. Most of his time is, however, taken up in touring the country and abroad, presenting innumerable concerts, lecture demonstrations, doing recordings and taking up teaching assignments. Within the country he is a regular artiste in the premiere concert circuit, while in Europe, Canada and in the United States, his popularity has ensured his regular representation in some of the most prestigious concerts. Within Europe, Tejendra is very popular in the countries like France, Germany, Holland, Italy, Switzerland, Belgium, Denmark, Austria and the UK. He is also very much popular in the Asian countries like Japan and Bangladesh. Constraint of space will not allow an exhaustive catalogue, but only a short representative one.